Two J.M. 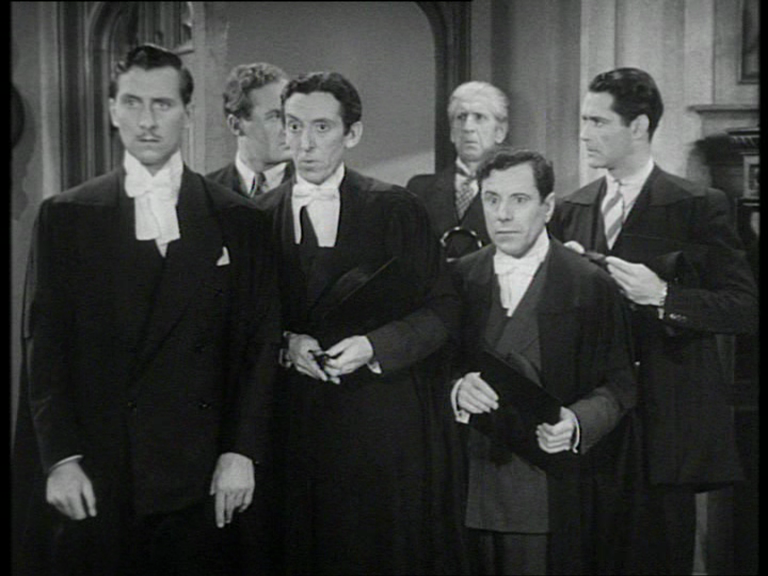 Barrie adaptations, filmed at RKO, starring Katherine Hepburn, QUALITY STREET and THE LITTLE MINISTER. THE LITTLE MINISTER, directed by Richard Wallace, is set in Barrie’s native Scotland and showcases Kate’s Bryn Mawr version of a Highland burr. 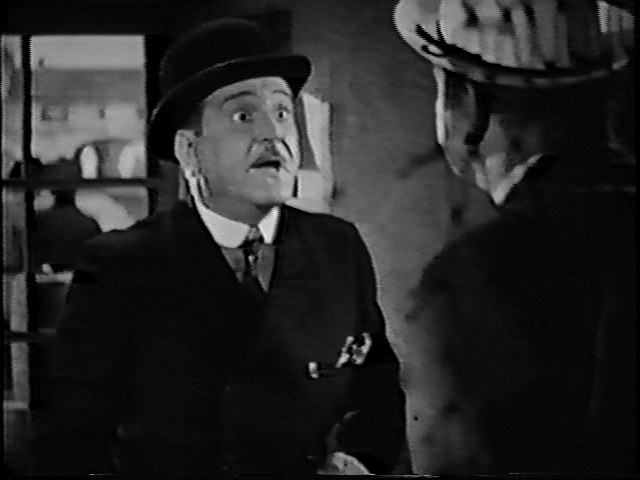 Several real Scots provide doughty support — Andy Clyde is particularly enjoyable, and Sherlock Holmes regulars Alec Craig (in his first movie role, according to the IMDb) and Mary Gordon make welcome appearances. Donald Crisp looks exactly as he did thirty years later in GREYFRIAR’S BOBBY, but sounds different — he nailed the accent sometime in the intervening years. But why no James Finlayson? 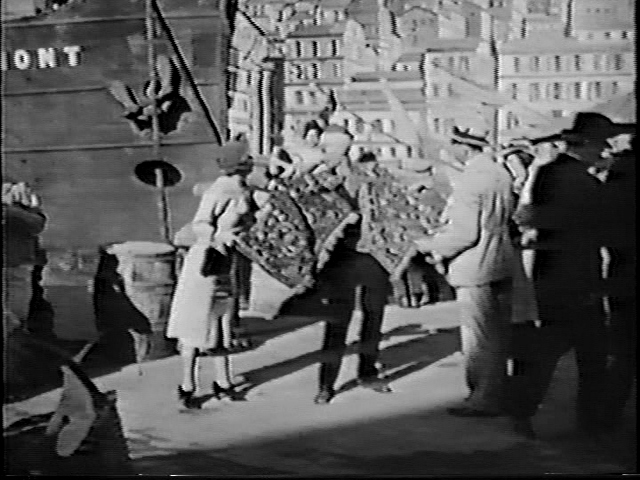 Poor John Beal struggles with the R-rolling, and is blown off the screen by Hepburn in gypsy drag. Flashes of authentic Scottish scenery, including brief use of the zoom lens (quite popular at RKO at this time — see also KING KONG). QUALITY STREET is, we thought, the superior production. 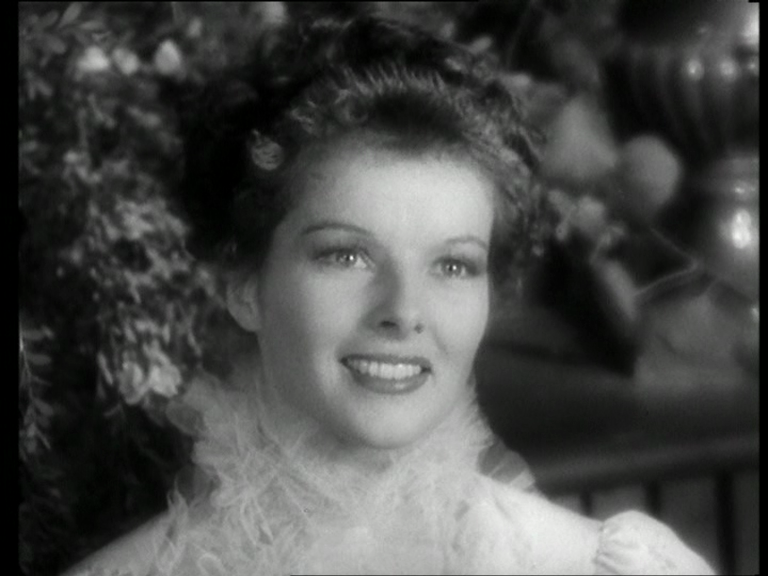 Never mind that Barrie’s conceit, Hepburn scrubbing up and impersonating a fictitious younger relative to fool Franchot Tone, even though Tone knows perfectly well what she looks like, is unworkable on-screen (suspension of disbelief and the perpetual long-shot would sell it on stage). 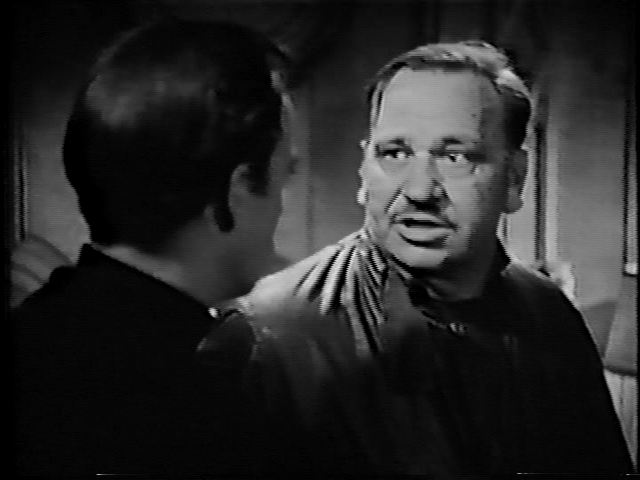 Never mind that the whole cast is doing convincing English accents except tone-deaf Tone. Enjoy the Napoleonic era gadgets (women’s veils which swish open on a drawstring like net curtains, English geisha shoes for walking in the rain) and the dialogue and performances and director George Stevens’ elegant, witty framing. 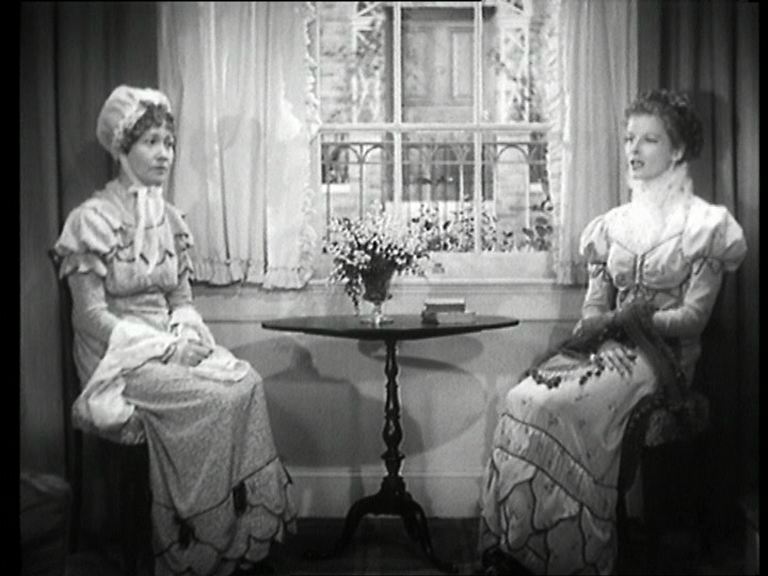 In the prologue, Hepburn is disappointed in love as her beau decides to go off to the wars — she sits by the window with her aunt, and the Greenaway-symmetry does something expressive and very un-Greenawayesque: it captures their resignation to staying unmarried for life. Possibly while sitting in the window.